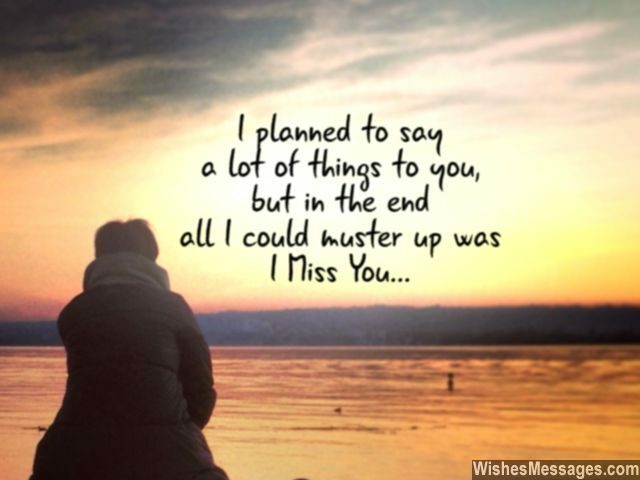 I Miss You Messages for Wife: Cute quotes, sweet emails, funny texts, flirty Facebook posts and adorable pins on Pinterest – do whatever it takes to relive the sparks of puppy love that flew on the day when you both fell in love with each other. Husband-wife relationships are all about nurturing a bond that transcends beyond petty fights and arguments. Time and again, let your wife know how much you are missing her when she’s away from you. Give her an impromptu visit at work at lunch or whisk her away on a surprise dinner date. Don’t let life sink into the lull and the rut of your daily routines. Don’t let yourself become another unromantic hubby who’s let his guard down after getting married. Fill your lives with hugs and kisses, not boredom and monotony. 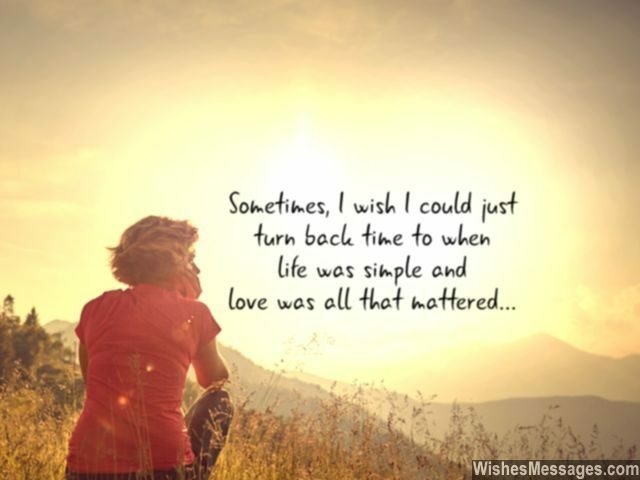 1) I planned to say a lot of things to you, but in the end all I could muster up was I Miss You. 4) Being away from you has placed me in the hands of the devil of loneliness. The only way I can escape this wrath is to be rescued by an angel called YOU. I miss you. 5) Economics says that a need is different from a want. I say that both are the same because I need you and want you at the same time. I miss you. 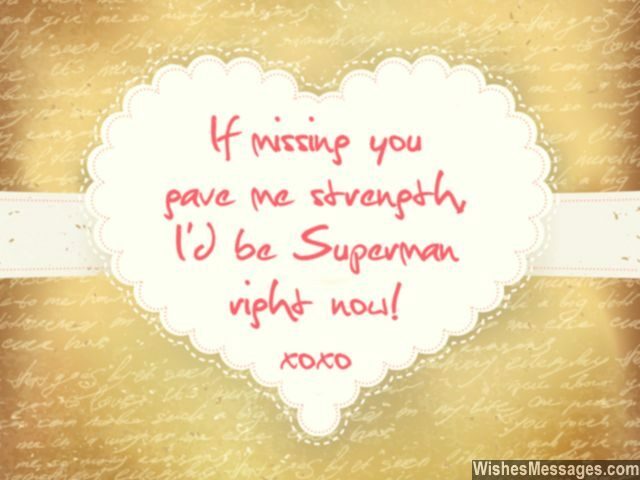 7) This text has been sent by your husband’s heart – it misses you. 9) Even though I am alive, my heart has stopped beating. Even though I am breathing, my body is suffocating. Even though I still care, I can’t bear any longer that you’re not there. I miss you. 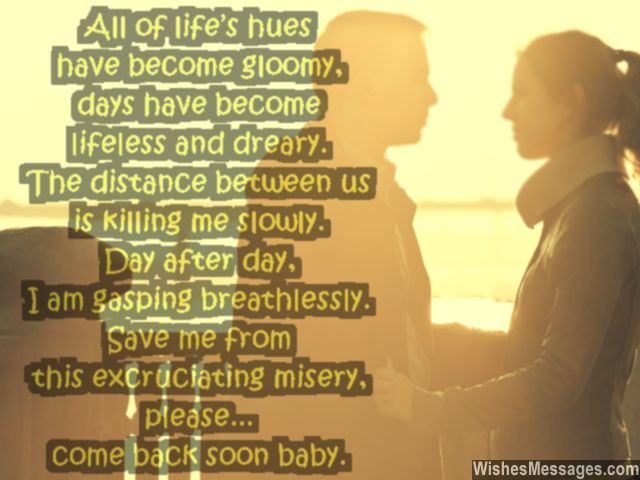 10) Missing you is like breathing – involuntary, continuous and critical to my survival. I miss you. 14) My state of mind right now… is how the Internet would be without Google. I miss you. 15) Without thinking, I spoke endlessly. Without pausing, I fought with you baby. Without reflecting, I called you names. Without introspecting, I blamed you for playing games. I’m sorry, I miss you. 17) Without you my body clock has gone haywire because seconds seem like minutes, minutes seem like hours and hours seem like days. I miss you. 18) Like a dog without its bone and a cat without its milk, I am rotting away without my favorite treat… your hugs and your smiles. I miss you. 19) I strive to treat you like a queen who reigns over the globe, just like the one who wears jewels and silky robes. But my actions made you feel like a stranger I didn’t care for, it maligned our love which is so clean and pure. Baby forgive me for losing my temper and doing stupid things, without your love I am suffocating and dying. I miss you. 20) I wish I was allergic to my wife’s absence so that the doctor could prescribe her constant company for me. I miss you. 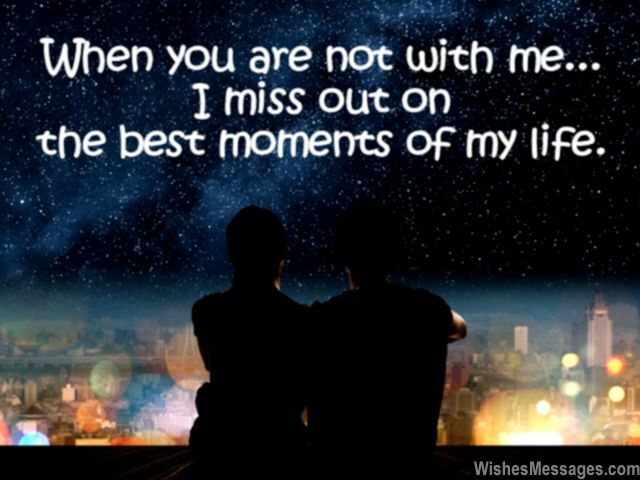 21) When you are not with me, I miss out on the best moments of my life. I miss you. 22) Without you, I feel like a flower withering away without sunshine, a lake parching up without water and a heart… limping along without its beat. I miss you. 23) I went overboard, I crossed the line. I gave you, many a reason to whine. Baby I am sorry, for not being myself lately. Please come back, and forgive my stupidity. I miss you. 24) The reason for my existence, the purpose of my life. The core of my being, is you my dear wife. I miss you. 25) I have hugged my pillow more than I have hugged you this week. Come back soon from your business trip or else my soul will get weak. 27) Missing you is like therapy – it replenishes my mind and body with happy hormones. I miss you. 28) Missing you is like being diagnosed with a disease. The pain is slow, excruciatingly painful and constant. 29) I have I have got a new job after you have left for your trip. The company’s name is Missing You and I am its CEO. 30) I promise never to leave my dirty laundry on the bedroom floor. I promise never to hog the TV remote. I promise never to burp when you are around. I promise to help you clean up after dinner. But all these promises come at a cost – you will come back early to spend more time with me. I miss you. 31) My life has plunged into darkness and I am drowning in frustration. I feel as if I’ve been pushed to the deepest depth of the oceans. 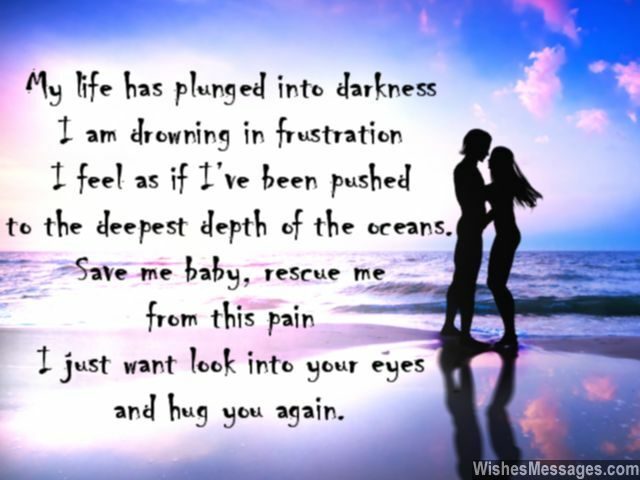 Save me baby, rescue me from this pain. I just want look into your eyes and hug you again. Muah. 32) Your absence has completely ruined my life. Everything feels hollow without the woman who I call my wife. I miss you. 34) If practice makes perfect, by now I have become a pro at missing you. 35) Do you know what is common between your job, your colleagues and your boss? I hate them all because they get to spend more time with you than I do. I miss you. 36) All of life’s hues have become gloomy, days have become lifeless and dreary. The distance between us is killing me slowly. Day after day, I am gasping breathlessly. Save me from this excruciating misery, please… come back soon baby. 37) I want to be Superman so that I can fly to my wife’s office during lunch breaks to see her. I miss you. 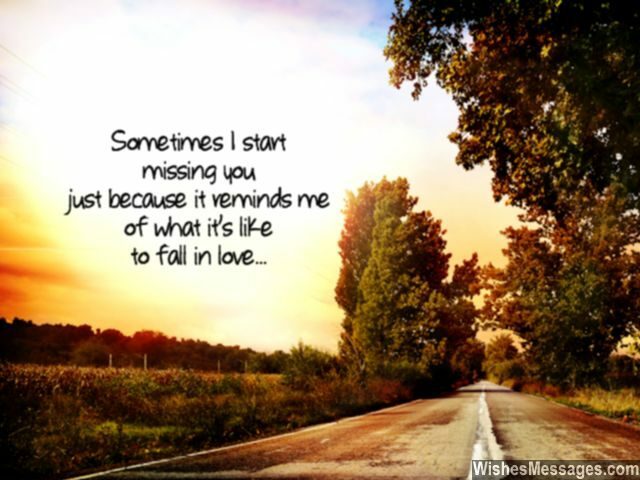 38) When I miss you, I can’t sleep. When I can’t sleep, I can’t dream. When I can’t dream, I lie awake. When I lie awake, I miss you. Where do I go? 39) I miss the way, you wake me up to sunshine. I miss the way, you fulfill every dream of mine. 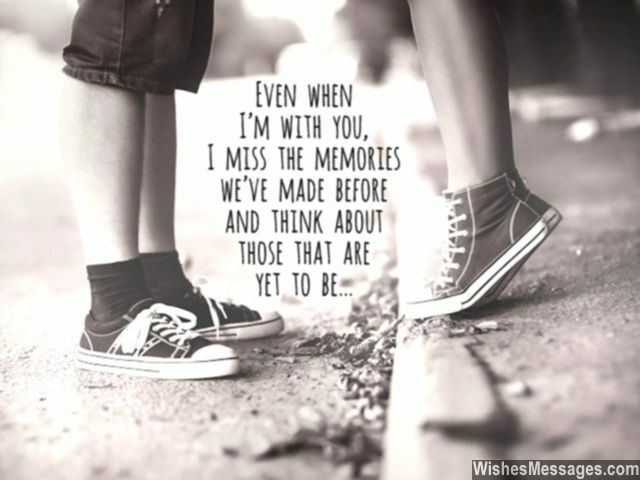 I miss everything about you. Come back baby… without you I feel blue. 40) The only thing stopping me from going insane are your romantic whispers that echo in my heart. I miss you.